GCI Portraits in Kennesaw has served rising seniors for years – and we have saved parents and families money on quality portraits and products. While some schools may require you to use the school’s photographer for your yearbook picture, you are not required to purchase those photos – which are often very expensive. At GCI we offer one on one sessions and our senior portrait packages start at $125. We have many fun and fresh options to capture your unique personality! Casual portraits can be taken in our studio with your choice of a wide variety of backgrounds. GCI also offers on-location shoots for a distinct custom setting that highlights local landmarks and commemorates milestones. We encourage you to include props such as musical instruments and sports equipment to showcase your interest. At GCI Portraits, we love working with seniors and they love working with our staff. Your senior portrait is a memory to last a lifetime and we strive to capture that moment perfectly. For your convenience, we have tuxes and drapes available to accommodate all sizes. We do most of our senior portraits in our Kennesaw studio. Graduating from high school is a once in a lifetime achievement. We want to be sure you receive all the time and attention you deserve. At GCI Portraits we are careful to catch all the details such as hair, jewelry, angles and shadows in order to guarantee a wonderful photo. To serve all expectations, we offer two distinct Senior Portrait Programs – the Traditional program and the Ultimate Experience program. Our Traditional program provides basic packages with add-on and specialty products available. 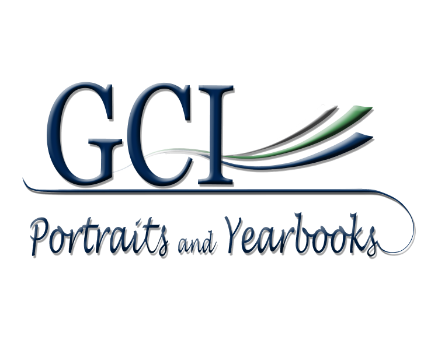 Depending on the requirements, GCI can provide your school with the yearbook photos of your choice. In addition, we plan carefully when scheduling appointments so there are no long waits. Our Ultimate Experience program includes longer sessions with a great variety of custom options. We can include optional outdoor location choices. Makeup, hair, multiple outfit changes and other special features can be added to this exclusively designed day. You only have one high school senior year and we are happy to commemorate this time with you!